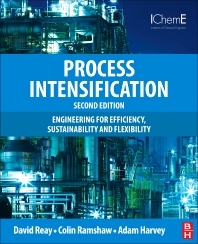 Process Intensification: Engineering for Efficiency, Sustainability and Flexibility is the first book to provide a practical working guide to understanding process intensification (PI) and developing successful PI solutions and applications in chemical process, civil, environmental, energy, pharmaceutical, biological, and biochemical systems. Process intensification is a chemical and process design approach that leads to substantially smaller, cleaner, safer, and more energy efficient process technology. It improves process flexibility, product quality, speed to market and inherent safety, with a reduced environmental footprint. This book represents a valuable resource for engineers working with leading-edge process technologies, and those involved research and development of chemical, process, environmental, pharmaceutical, and bioscience systems. 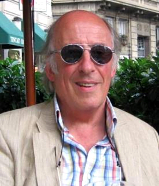 David Reay manages David Reay & Associates, UK, is a Visiting Professor at Northumbria University, Researcher at Newcastle University, and Honorary Professor at Nottingham University, UK. His main research interests are compact heat exchangers, process intensification, and heat pumps. He is also Editor-in-Chief of Applied Thermal Engineering and Author/Co-author of eight other books, including the second edition of Process Intensification published in 2013.